Drawing on her creativity, training, and experience, Barbara works closely with clients, architects, and builders to bridge the gaps between renderings, plans, construction, and results. Does your home need a facelift? I have been helping my clients to make their homes more beautiful since 1985. Let me work with your budget and existing furniture to redecorate and update your home or start from scratch. I can organize, declutter, and rearrange your space or come for a consultation and make suggestions that you can complete on your own. Some of my other services include kitchen and bath design and remodeling, selecting accessories, furniture, window coverings and installation, basically anything related to the interior of your home. Don't know where to begin? I can help you make decisions and simplify your decorating process. Whether you are building a new home or remodeling an existing home, I can help you get through the project and guide you in your choices. Or if you prefer, I can handle all the design decisions and create the home of your dreams from blueprint to actualization. My goal is to work with you to achieve the vision that you have for your home. Call me for a consultation today! Interior Decoration and Design has been my passion for over 25 years. I love helping my clients solve their decorating dilemmas. From conception to total turn key jobs, my desire is to turn your home into your dream space, just like the magazines! We believe that everyone deserves to live in a well designed home. 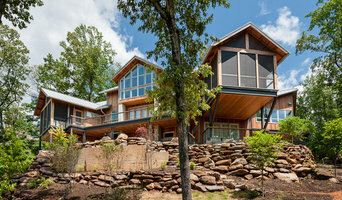 For that reason, Neal Prince Studio provides design services for a variety of residential sizes. Since 1993, Panageries has been creating exquisite and timeless interior designs. We come alongside as your creative resource & provide you with a professional opinion & wisdom for design decisions. Let DreamMaker Bath & Kitchen of Greenville help make your remodeling dreams come true. Our distinctive, full-scope remodeling approach focuses on serving our clients from design through installation. Building high quality new homes for wonderful customers has been my mission for Lauren Homes since 2003. We pay close attention to each client to the design process. Our team of professional tradesmen and artisans are dedicated to the highest standards in construction excellence. We specialize in high end kitchen and bathroom remodeling and renovation projects. I have practiced architecture for the past 32 years, and I have a wealth of experience and industry knowledge that I aim to share with all of my clients through out the architecture process. Bathroom Remodeling & Kitchen Remodeling Services for Homeowners Nationwide! 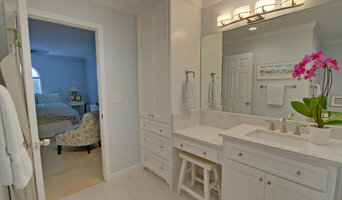 DreamMaker® Bath & Kitchen of Greenville is a full-service interior home improvement company that specializes in bathroom and kitchen remodeling for homeowners. Here at DreamMaker, we believe our remodeling projects do more for our customers than simply improve the look of their homes. Our work enhances our customers’ lives by providing them with a home that’s more comfortable and better suited to their functional needs both now and for many years to come. So, how can we make your kitchen or bath remodeling dreams come true? First, a representative will sit down with you during an initial design consultation to identify which elements you dislike in your current space and gain a full understanding of your hopes and desires for the ultimate bathroom or kitchen renovation. DreamMaker will then help you tackle these issues and create a rejuvenated space that fulfills your practical needs as well as your aesthetic preferences, regardless of whether you want to complete a full-scale renovation or address just a few aspects of the room. What’s more, you’ll have a dedicated project manager assisting you throughout the entire remodeling process, so you’ll always have a point of contact for any of your questions or concerns. When it comes to our bathroom remodel and design services, DreamMaker offers tub-to-shower conversions, tub replacements, walk-in tub installations, shower replacements and more. We also can update sinks, countertops, vanities, cabinets, lighting fixtures, flooring, accent tiles and any other aspect of your bathroom. Some of the kitchen renovation products we offer and install include stainless steel appliances, pull-out and soft-close drawers, tile backsplashes, built-in wine racks, breakfast bars, floor-to-ceiling pantries, recess and hanging lights, wood and tile flooring, countertops and much more. We also specialize in cabinet refacing and new kitchen cabinet installation. We are a full-service interior design firm specializing in luxury homes. Whether your project is a new construction, remodel, or updating the outdated, Dwell Chic will serve as your style guide. JWK DESIGN offers personalized, cost-effective design & construction management solutions for residential and small business clients, from concept to construction. With over 30 years of design experience in the Greenville area, Mel Dias Assoc. AIA has proven himself as a designer who understands the people and places that he works for. Addison Homes builds healthy, high-performance homes where our clients enjoy increased comfort, lower utility bills and healthier indoor air quality. Focusing exclusively on sustainable construction, we build 100% of our projects to rigorous standards such as Energy Star and DOE Zero Energy Ready Home.